What is your Diamond Watch worth in Dollars?We weigh and test your diamond right in front of you. Then I will pay you cash and much more than other jewelry store or pawnshops would have offered.I PAY 95% OF YOUR DIAMOND’S SPOT VALUE IN CASH!Don’t trust anyone with out a storefront, we know diamonds in chicago. At Oakton Coins in chicago, Illinois, we have a team of jewelry professionals who are jewelry buyers and diamond buyers. Perhaps you have a diamond with no sentimental value. Or a bracelet or brooch that is not your style. We buy single jewelry pieces or entire jewelry estates. Contact Oakton Coins when you need professional chicago jewelry buyers or chicago diamond buyers. At Oakton Coins, we understand that sometimes you want to receive cash for your jewelry or cash for your diamonds. Our process to buy diamonds and to buy jewelry is hassle free. And, we always respect your privacy. To use our chicago jewelry buyer or diamond buyer services, you don’t have to ship your valuable items or leave them with us. We meet with you privately and confidentially in , Illinois; we’re conveniently located near Skokie, Evanston, rogers park, and park ridge. You remain with your jewelry during the entire selling and buying process. We make an offer to buy and if you accept it, we pay you on the spot. If you decide you don’t want to sell, you are under no obligation. Our process is that simple. 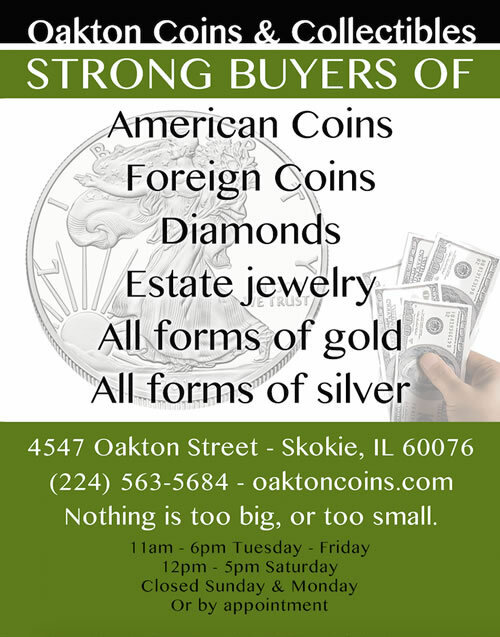 If you want to sell your jewelry, bring it to Oakton Coins in chicago, IL. Our professional team of chicago jewelry buyers will purchase your fine antique jewelry, estate jewelry and contemporary jewelry in gold and platinum. Our jewelry buyers are especially interested in original, period antique jewelry from the Victorian, Edwardian, Art Nouveau and Art Deco jewelry periods [circa 1800 to circa 1940]. Our chicago jewelry buyers are also interested in signed jewelry by Cartier, Van Cleef and Arpels, Verdura, David Webb, Bulgari, Chaumet, Tiffany and other fine designer pieces. Oakton Coins pays top dollar for antique jewelry and signed designer jewelry. We buy single jewelry pieces or entire jewelry estates. Visit our page, CONTACT US, and set up an appointment to sell your jewelry today! 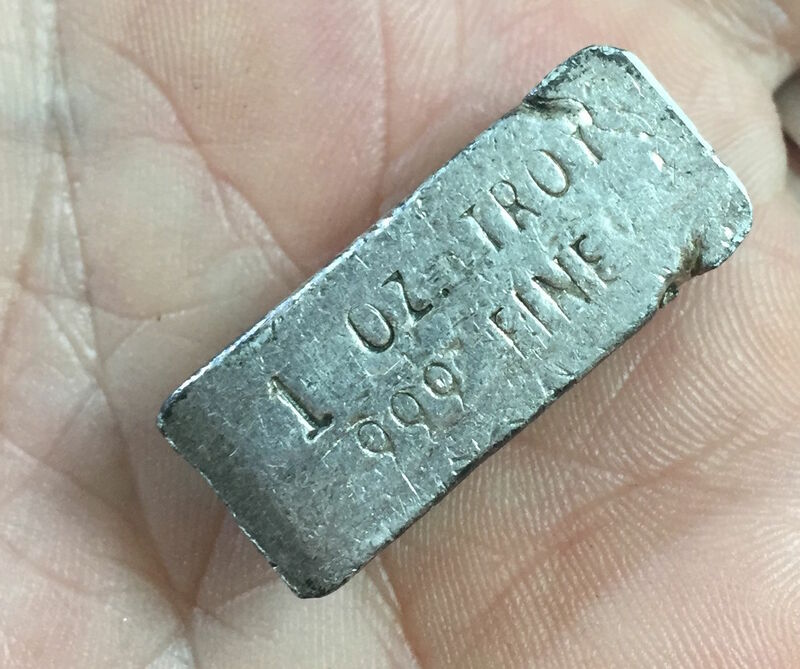 Let Oakton Coins in chicago make you an offer if you want to sell your diamond. Our chicago diamond buyers are interested in loose diamonds 0.50 carats and up. Our team of chicago diamond buyers also buys diamonds set in jewelry. Our diamond buyers purchase all diamond cuts, including round brilliant, emerald, marquise, oval, pear, radiant, heart, princess, asscher, and cushion. If you want to sell your old cut diamonds [circa 1930 and earlier], for example, old mine cut diamonds, Old European cut diamonds, transition cut diamonds, and rose cut diamonds, meet with our diamond buyers for an offer. Visit our page, CONTACT US, and set up an appointment to sell your diamond today! Do you have questions about how to sell your jewelry or how to sell your diamonds? Visit our webpage, “How do I sell my jewelry? How do I sell my diamond?”, to read helpful hints and answers to questions about how to sell your jewelry and how to sell your diamonds. This entry was posted in Uncategorized and tagged 10k gold, 14k gold, 18k gold, 925, best place to sell, buy, chicago, chicago coin shop, Chicago gold buyers, coin shop, Coin shop chicago, coins, current gold price, Des Plaines, Diamond, Diamond Buyers, diamonds, evanston, Evanston coins, Glenview, gold, Jewelers row, Jewelry, Kenilworth, kitco, kitco.com, lincolnwood, loop, money, Morton Grove, Niles, oakton coins, Oakton Coins & Collectibles, Oakton skokie, Oaktoncoins, Park Ridge, purple line, rogers park, sell, Sell broken gold, sell coins chicago, sell gold chicago, Sell gold evanston, Sell gold necklaces, Sell gold watches, Sell scrap gold in Chicago, Sell Silver, Sell wedding rings, silver, skokie, Winnetka, yellow line on December 9, 2013 by sell gold chicago.